Mannings and Zwilling J.A.Henckels are having a joint promotion campaign right now in Hong Kong. Customers can collect stamps from their Mannings purchases, then use these to redeem knife sets by Zwilling J.A.Henckels at a heavy discount. When any purchase exceeds HKD60, customers will receive a stamp from Mannings. 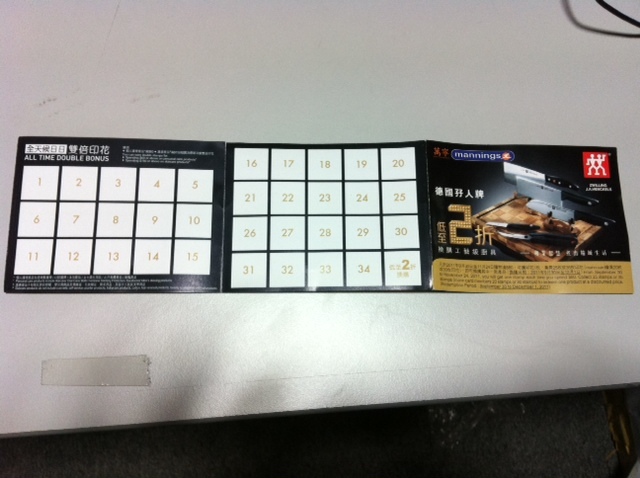 After collecting certain number of stamps, customers can exchange it for a discount( up to 80%) on Zwilling J.A. Henckels Knives. We like this promo because the redemption method encourages customers to buy more products from the store. Both brands are also well-known and famous, making this promo very appealing. Even without an actual free ‘promo gift‘, the discounts on the knives are certainly attractive enough to help Mannings increase sales. Another special thing about this promo – other brands are also participating but in an indirect way. 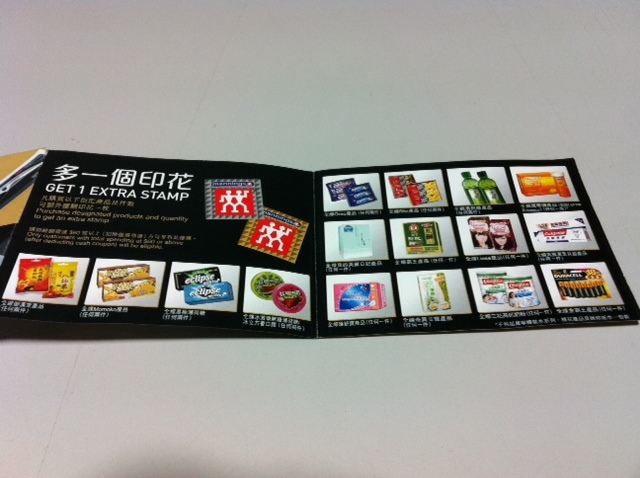 Customers can get 1 extra stamp if they buy these designated products from these brands. Again, these perks make this promo more attractive to the customers.